Combine softened cream cheese, grated pepper jack cheese, mayonnaise, roasted red peppers, diced onions, garlic paste, and dijon mustard. Rub butter along the bottom and edges of a cast iron skillet. 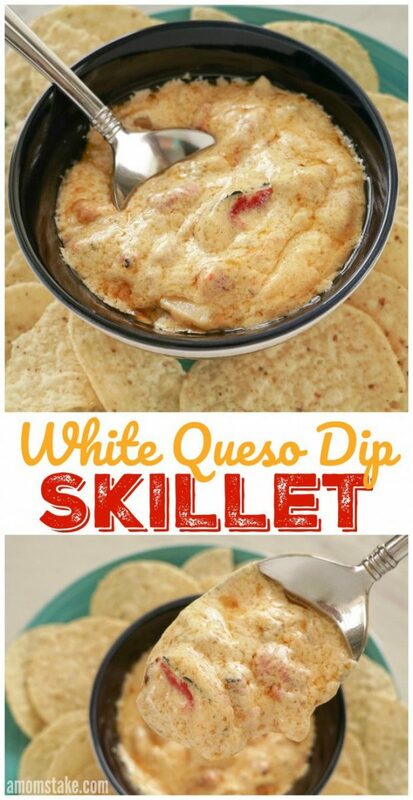 Add your white queso dip to the skillet. Heat on the stove on a low heat setting for 10-15 minutes or until bubbly all the way through. Cover while not stirring. Stir occasionally.